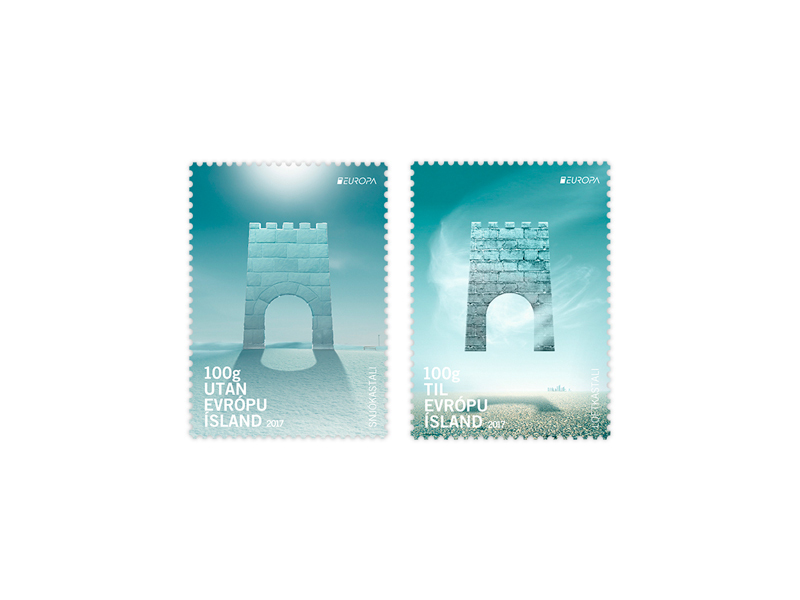 According to the decision of Postal Operators in Europe castles constitute the common theme of the year. A castle is a fortified structure, usually difficult to reach due to its location. Most castles of medieval Europe were homes to gentry and royal families, built to withstand the onslaught of enemies, as well as being an important status symbol. Many continental castles are still in use, mostly being used as museums but some as residences, even homes of the descendants of the original owners. 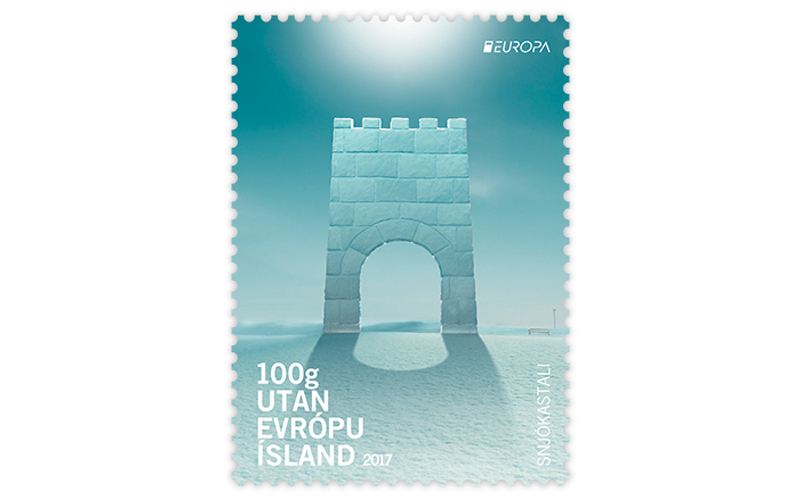 Castles were never built in Iceland, with the exception of castles in the air and snow castles, which are the theme of the Icelandic Europa stamps. Throughout Icelandic nature, however, castle forms can be seen. 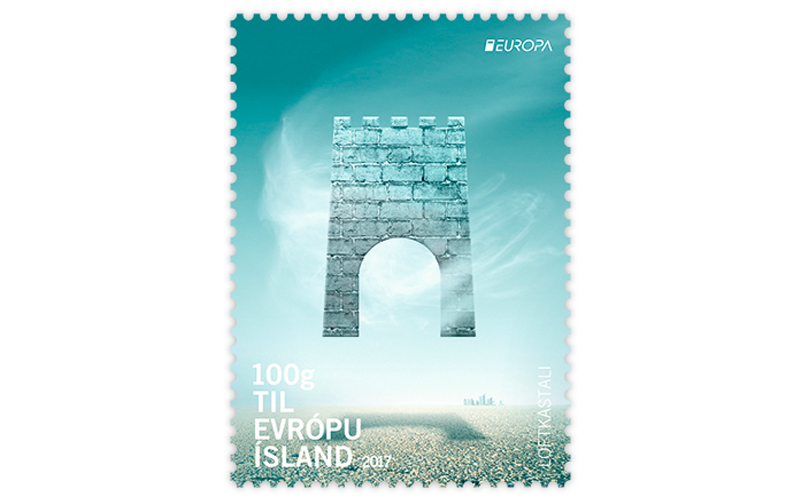 In the famous poem “Skjaldbreiður“ Jonas Hallgrímsson says: “Made of blue solidified lava / these are castles of rock for the freeborn.” This castle metaphor refers to shapes that can be seen in nature. The landscape becomes a visible construction which speaks to the eyes. Icelandic nature can take on diverse forms which might be called natural Icelandic “castles”. These include, for example, Dimmuborgir lava fields in Myvatn, Eldborg (Fire City) in Mýrar and the Citadel in Húnavatnssysla.